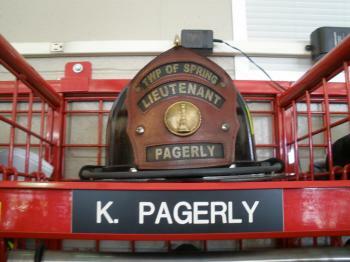 Savannah's dad Deputy Kyle Pagerly died in the line of duty before she was born. Now two years old she has started a patch collection of police and fire patches and would love to have a patch or two from your agency. 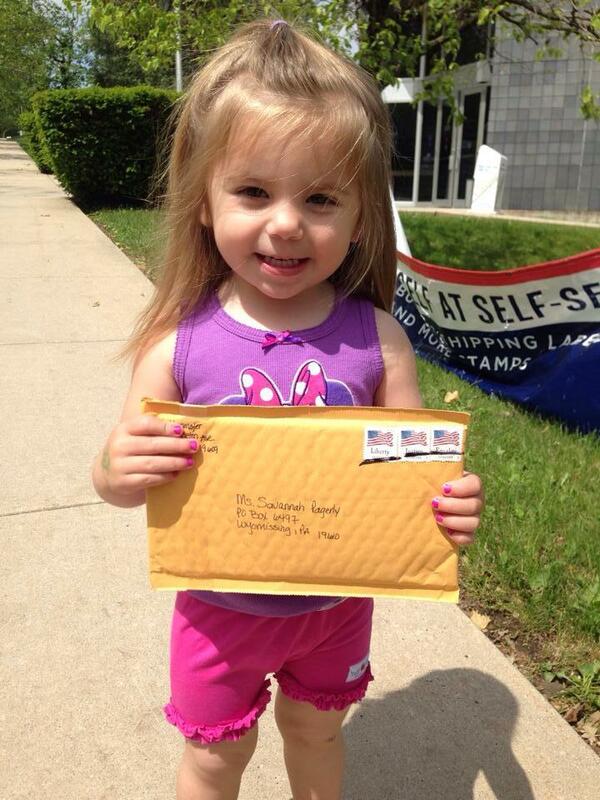 Help show Savannah just how big her extended family is and send her patches. As part of the Police Unity Tour it is the duty of the Wisconsin Riders to ensure that the stories and memories of those officers who have died in the line of duty are never forgotten. For two year old Savannah Pagerly, stories and shared memories are all she will ever know of her dad, Kyle, who died in the line of duty in 2011 (read more about him below). Fortunately for Savannah her extended Thin Blue Line family will make sure those stories and memories are never forgotten. Learn how the story of Savannah and her dad came to the attention of the Wisconsin Riders here. Savannah has started a patch collection of police and fire patches and would love to have a patch or two from your agency. Please share this page with as many people as you can! Deputy Kyle Pagerly of the Berks County, Pennsylvania Sheriff's Department was a U.S. Army Veteran, serving tours in Kosovo and Iraq. In 2006 he began his career with Berks County and in 2009 became a K-9 handler and was partnered with Jynx, a dual-purpose patrol/explosives detection German Shepherd. In addition to his duties at the Sheriff's Department, Kyle was also a Lieutenant with the Spring Township Fire Department and he served as a part time officer with the Western Berks Regional Police Department. Kyle was dedicated to being physically fit and believed fitness was a requirement to successfully perform his duties as a law enforcement officer and firefighter. He was an accomplished triathlete and marathon runner. 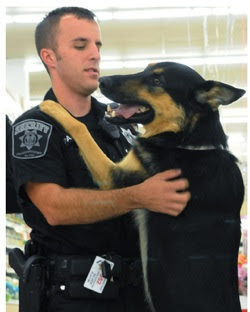 On June 29th, 2011 Deputy Pagerly and Jynx, as part of U.S. Marshals Special Fugitive Task Force, were serving a warrant in rural area of Berks County. Kyle and Jynx went to the rear of the residence when Jynx alerted the task force members to the suspect who had hidden himself in the woods. The suspect, armed with an AK-47, and Kyle engaged in a gunfight. When Kyle was hit, Jynx tried to pull him to safety so that he could be evacuated for treatment. Kyle passed away at the hospital, leaving behind his wife Alecia and their unborn daughter, Savannah. For his actions, Jynx was recognized during the 2012 American Humane Association's Hero Dog Awards. The Police Unity Tour began in 1997 with 18 police officers riding their bicycles over 300 miles from New Jersey to Washington D.C. In 2014 over 1,800 law enforcement officers from around the country participated in the ride. The goals of the ride are to raise awareness of law enforcement officers who have died in the line of duty and to raise funds for the National Law Enforcement Officers Memorial in Washington D.C.